Interested in a rare opportunity to help craft the future of the sharing economy? Want to be an integral part of building the foundation of a global marketplace? Are you an engineer that is passionate about creating great products and loves technology? Expedia Group has a mission to become the world’s travel platform. As part of that effort, we are building the most widely accepted Lodging Platform for the hotel and vacation rental industries. We want travelers visiting our sites to be able to find the type of lodging that best fits their travel needs whether a house, bungalow, castle, condo or hotel room. We build extraordinary products at fast-paced speed, but we are always looking for ways to be better and faster. GraphQL has shown to be a technology accelerator for our business. We are now looking to iterate upon existing GraphQL schemas and architectural patterns in our next-generation of Node.js-based GraphQL APIs to unlock additional speed for our many UX and public API teams. This role will serve as a key technical contributor to the development of our v2 Lodging GraphQL APIs and will also work with development teams throughout Expedia Group to evangelize and drive adoption of the emerging GraphQL API and architectural fundamentals. You will be building software solutions used by millions of people striving for reliable, highly available and scalable systems in an agile and test driven environment. You will partner closely with other technical leads and product managers to design and implement leading-edge solutions. You contribute to mentoring and leading a team of highly energetic and adept engineers. You have a Bachelor's degree in computer science or related field. You possess a deep understanding of Web and API architecture. You are conversant in common Internet technologies and protocols (HTTP, SSL, OAuth, REST, JSON, and XML, etc.). You have solid JDBC experience. Confirmed track-record of building fast, reliable, large, multi-threaded, scalable, service-based web services. You lead by example in all aspects of software development - simple, elegant, scalable, well tested, and documented. You're results oriented, self-determined individual with a track-record of delivering on plans with minimal guidance. You can communicate in various formats, documentation, presentations, meetings, and convey messages across multiple audiences. 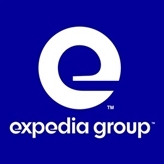 Staff Software Engineer, GraphQL APIs at Expedia, Inc.